The full moon in Aquarius dawns this morning, at 11:15 am PST, after we enter the sign of Leo and are emerging from the shadow of Mercury retrograde in Cancer. These are potent, exasperating, thrilling, mystifying, confusing, illuminating, magically exciting times. Yes, we got it all going on! This moon is electric if we can manage to stay in a steady, high vibration. It will very likely project erratic behavior on those around us who are being moved to examine every part of their lives. 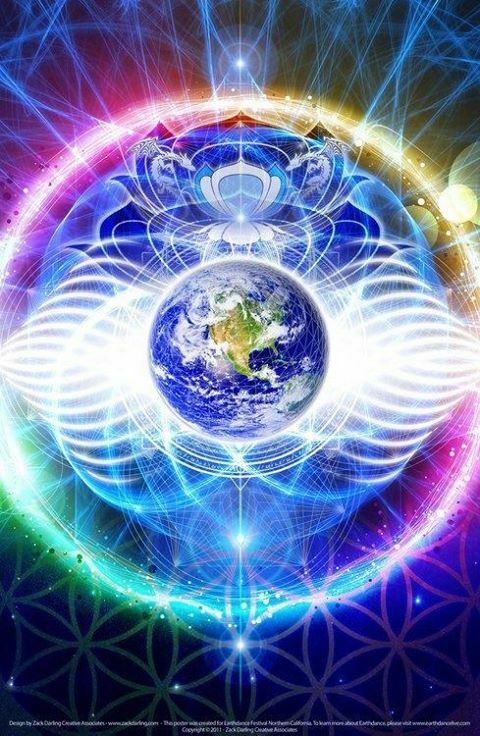 With the enhanced Grand Water Trine opening doors at mach speed and the Lion Gate energetic initiation setting the stage for two weeks, starting July 25 through August 12, we have major opportunities right now. We are being given the BIG cosmic message to step up, speak out, go for it!!! Make our dreams happen!!! Here is the rub. Right after this huge energetic opening, the Lion Gate on July 25/26, we have a tense weekend of conflicting aspects which could cause some longstanding issues in our personal lives and globally to rise to the surface. This is why we have to talk about how to stay in a high vibration – no matter what. ‘How do we stay grounded, stay in a high vibration and flow through massive changes that will just intensify through 2015?’. Stay close to nature, get our body moving outside. BE what we desire, BE_DO_HAVE in that order. Get clear about what we want. Sing, Dance, Paint, Write, Share, Create Community, Love, Laugh! Embrace change, love it, want it, see this time as magical and know in our hearts the people, places and things that fall away will make space for more aligned people, places and things in our lives because our dreams WILL manifest at an accelerated pace. Know that we are individuals going through the gauntlet of change at our own pace, in our own way, in our own time. This is really about owning ourselves, being sovereign and looking within for answers. Way back in the day, the initiation we are about to receive globally would be accomplished in the great Pyramid or an underground labyrinth or within a sacred rock formation. Back in those ancient days, only a few were considered masters. Today we are ALL masters, ALL initiates, ALL ascending!! You have heard of matching pitch, right? Well, this initiation is all about matching the vibration of your desires. The astrological alignments are here to assist us with this. IT’S ALL ABOUT CHOICE NOW. What we say, think, feel and do create our world. This is why two people can have such different experiences at the same time, in the same place. We get what we give. We are so privileged to be on the earth at this time. Revel in it!!!!! HighMoon in Cancer = MAGIC! Wow, wow, WOW!!!!! The energy is so high now that I can hardly sit still to write this!!! Let’s continue to clean out our bodies of toxins, our minds of negative thoughts that are also hurting our bodies, any emotional baggage has to be resolved NOW in this Mercury Retrograde or… more body damage. Let’s dance and sing to stay in a high vibration!!! This is a wild ride and we are ALL taking it!!! We signed up for this when we decided to live on Gaia at this time. That said, let’s get to the astrology and moon cycle of NOW. For the next two weeks we are dominated by this watery New Moon in Cancer. Emotions and feelings are the name of the game here. Denying our feelings results in over-eating, over-shopping, over-working, over-media consumption and all the harsher addictions that facilitate escape. We are challenged now to really feel deeply, be not afraid of our emotions, revel in them because here is the key to this amazing evolutionary cycle- OUR FEELINGS! To really identify how we feel in our hearts about people, places and things is an art that is imperative to learn and refine now. Our feelings connect us to Source and it is becoming more and more important to stay connected. Divinity is within us and wants out!!!!!!!! For so many years I was told I was too emotional so I went to the only place where the over-emotional are accepted- The Theatre!!!! I got it out of my system, it took 22 years, many unions, as many as 12 rejections a day for film and TV, world-wide travel that I am forever grateful for, meeting fabulous people and making so many mistakes of all kinds that I no longer care what anyone thinks!!! So worth it! So, for all the over-emotionals out there-REJOICE! Our time is here! Saturn has turned direct and is swimming in Scorpio. This means that we are taking a huge leap forward energetically based on what we have leaned since it retroed in February 2013. Saturn is the bliss-ipliner (embrace the lighter side of disipline- Star calls this Brightsiding!) who can stabilize your life if you look at setbacks as clues to your timing. We have been in an astrological holding pattern since February. Saturn in Scorpio brings regeneration, rebirth, the shaman’s touch of magic, deep insight into mysterious matters, secrets come to light and our control issues are on the surface so we can see them and then release them. Inspired opportunites arise and we now have the strength and endurance to seize upon them for personal advancement. A super- powerful grand water trine reaches its zenith July 17-19 and can excelerate our creative, problem solving intuition. Many things will flow as we have the midas touch now if we move forward and refuse to get stuck, depressed, self-indulgent and escape into inertia. There is a pattern in the skies now that is not recognised by any master astrologer in this lifetime or past lifetimes. It is an intricate geometrical structure of complicated aspects that crystalizes through 2014. WOW! This is exciting! Looks like this pattern will excelerate the energy and add more threads to our DNA. 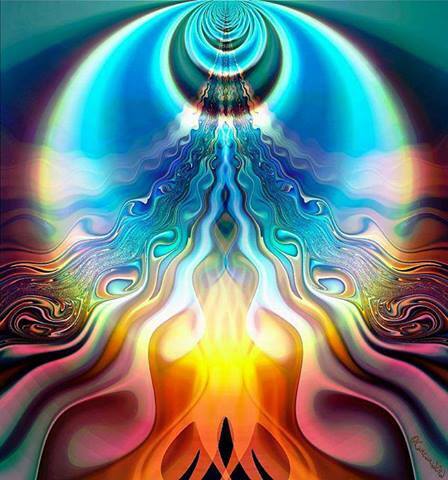 All beings on, in, around and above Gaia are going on this evolutionary ride with us. We Are All Connected! This ride started to excelerate on the Harmonic Convergence August 1997 and now is ferocious!!!! The ROAR of the lion is next month. Can’t wait! One word about the Mercury retrograde we enjoy till July 20th. Let’s review our choices not make big decisions until the end of the month. Let’s relax, get good sleep, eat well, enjoy our families, give to others, BE loving role models. Use love as a motivator. Get ready to go toward something of your choice . Plan, plan, plan. Swim, sing, dance, paint, make love, make funny. Laugh! This is just a Mercury Retro stophold so we don’t fly off the planet! Expect to see genius in the world, in your town, in yourself!!!! Bring it!! !